With winter quickly approaching, many families across the country are readying their homes to be cozy and warm. Power and heating costs are consistently on the rise, so it’s no surprise that many families turn to insulation as a method of retaining heat and lowering energy costs. Many heating experts would recommend insulating windows, doors, and sealing any less than airtight entry way that cold air could possibly use to sneak into your home. 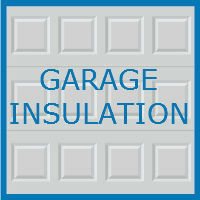 Many people attempt to insulate what is often the coldest room in their home, the garage. This can be tricky, as garages are usually the least airtight space in a home. Add in the fact that garage doors are typically lousy at keeping the cold out, and you are left with a chilly work space each winter. It certainly seems like a good idea to insulate your garage and garage door, but is it worth it? We will run you through what you need to know about insulating your garage door this winter. Let us first explore why garages are such a problem space each winter. A solid building should be airtight and well insulated. While less than airtight doors and windows can be easily combated inside your house with additional insulation, garages are much more tricky. First of all, the floor in garages is almost always concrete, or built on a concrete slab. This type of flooring is typically not insulated, and causes cold air to transfer from the ground, into your garage, and potentially into your home. Additionally, the walls of most garages are concrete and are not well insulated either. This floor and wall combo can lead to higher energy bills during the winter, as cold air seeps from your garage into your living space. On top of that, garage doors are lousy at keeping the cold at bay. They are built to be opened and closed repeatedly many times throughout their lifespan. They often do so by folding and hinging at many different points on the door as they open. Sound airtight? Definitely not. While the garage door may seem like the most obvious culprit, not much can be done to keep the cold out. Due to the folding motion of the door while it is opening and closing, both bat and spray insulation are not effective. You may be able to purchase more heavy duty insulation, or types of insulation that are specifically meant to be used on garage doors, but they typically don’t last long. The frequency of your garage door moving will lead to any type of insulation flaking off or getting pulled apart. While you could replace the insulation each time it gets destroyed, it is likely not worth the hassle. Rather than focus on insulating your garage door, try to focus on insulating your home from your garage. Be sure that the interior wall between your home and garage is extremely well insulated. This point is what contractors would call one of your home’s “thermal air boundaries,” meaning a point where cold air is easily transferred into your house. Properly insulating your home from your garage can greatly lower your energy bills each winter. If you are simply using your garage as a work space, or a spot to park your cars, having a chilly garage should not be too big of a deal if your living space remains warm. If you are using your garage as a living space, such as an office or playroom, simply insulating your home from your garage will not be enough. In these cases, garage insulating is really your best option. 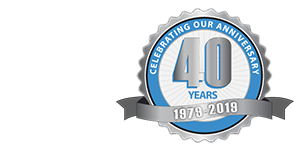 Explore your options for heavy duty garage door insulation, or consider purchasing a winter ready insulated garage. Be sure that all four walls of your garage are extremely well insulated as well. Then, consider purchasing some type of heating unit. Perhaps a heating and cooling combination unit, since your garage could see high temperatures in the summer too. Ultimately, the extent to which you winterize your garage is totally dependent on your lifestyle. If you use your garage as a work-space on occasion, do not go overboard. If, however, you use your garage as more of a living space, heating becomes much more necessary. Consider what you will doing with your garage this winter, and plan from there.